The pressing need for new sources of energy has never been more apparent. The world’s collective consciousness has accepted the necessity of a new energy future. Energy industry words such as alternative, clean, green, and renewable are becoming part of our daily vocabulary, but what exactly do those terms mean? Author Michele Ashby answers this question, and explains what she calls “modern energy,” a combination of old and new energy resources, including: wind, solar, nuclear, wave, biofuels, biomass, smart-grid technologies, magnetics, hydropower, energy efficiencies, oil and gas, and coal. According to Ashby, the time is now to bring intellectual and financial resources together to create a future reliant on modern energy—a future that harnesses the natural resources of solar, wind, water, and multiple other energy choices to meet the world’s growing needs. 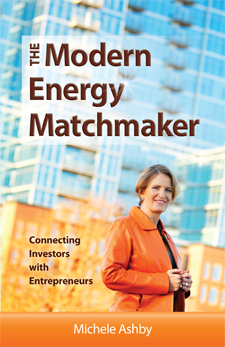 A Valuable Resource for Understanding Modern Energy and Its Financial Opportunities!